Hong Kong is all about food. Lucky me! For me travelling is all about that thrill of trying something I’ve never tried before. On my first week in this exciting city I went for a stroll in my new hood Sai Ying Pun. Not just a stroll, but one with a mission: to sample some authentic local snacks. I’m an adventurous eater and had ticked off the obligatory fish balls, pineapple buns and egg waffles from the bucket list. I was now ready for the real deal, so I picked up an iDiscover neighbourhood map as my guide. Now as I write this blog, the smells still linger in my nose. 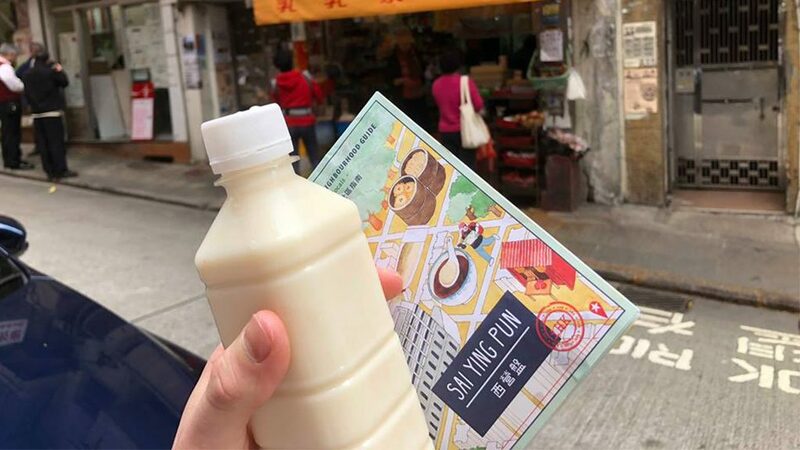 Join me on a journey of the senses with Sai Ying Pun Food! 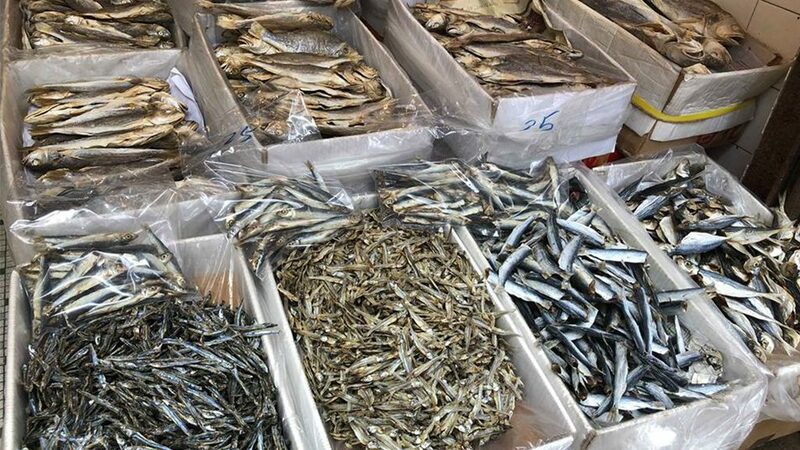 My first stop on this journey was the dried and salted fish market on Mui Fong Street. You can’t miss it. You’ll smell this market before you see it. People from all over the city come here to buy dried fish. There was so much variety on offer that I made a game of it. I tried to guess what was what… I’ll be very honest, most of the time I was wrong. But I know now that dried sardines are a great snack and dried sea cucumbers are the ultimate phallus symbol. Soy milk is cheap, healthy and very good! After all the fishy smells it was time for a taste pallet refresher, something sweet and light. The perfect product was waiting for me at the Kwan Hing Kee shop. Here you can buy all kinds of tofu and soy products. I picked up a bottle and loved the refreshing slightly sweet taste. They say the tofu pudding is also very good, a true local speciality. Kwan Hing Kee has been there for 90 years and you, a relic of the neighbourhood, intertwined with the identity of Sai Ying Pun. I had a taste of the sweetest product of Sai Ying Pun, now it was time to get something spicy. The legendary Yu Kwen Yick Chilli Sauce has its origins in Sai Ying Pun. Mr. Yu started the business when he came to Hong Kong in 1922. First selling the chilli sauce on the street he eventually saved enough money to open his own shop in 1950. Three generations later the family has its own factory in Aberdeen where they make all kinds of sauces. The original store is still open, the sauce is no longer made on the premises, but you can buy all the products there. 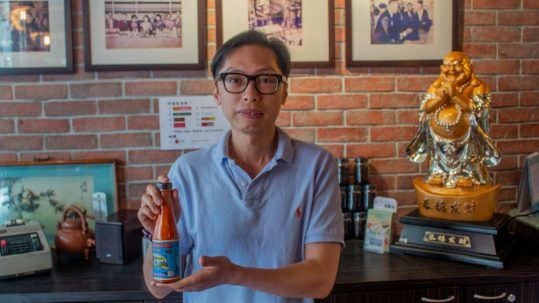 A bottle of the famous chilli sauce will only cost you HK$45. And, yes it’s true what they say: sweet and spice makes everything nice! When I started to imagine all the things I was going to use the chilli sauce on, I got pretty hungry. I walked to the only place where I hoped all my food fantasies would become a reality: Saam Hui Yaat restaurant. In this small eatery, for only HK$17 you point and choose from towers of steaming bamboo baskets. I choose steamed buns with lotus mashes and Chio Sum in soup. This place is perfect for an authentic traditional breakfast or lunch. I cannot recommend going there at dinner, but that is simply because it won’t be open. Saam Hui Yaat opens at 5am and closes at 2:30pm. 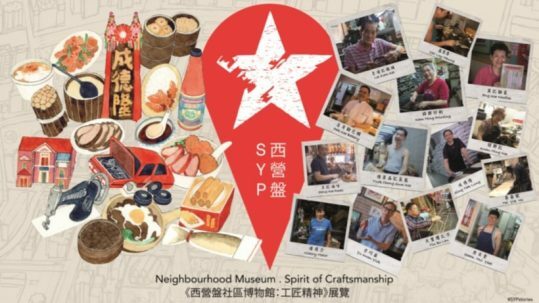 This restaurant truly resembles what Sai Ying Pun Food is all about, it’s local, cheap and delicious. 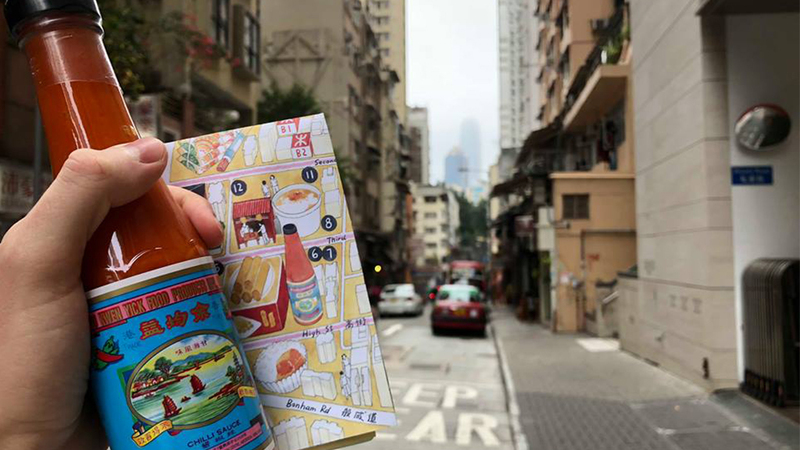 Buy the Sai Ying Pun map as part of the Hong Kong Neighbourhood Guide in the iDiscover shop. 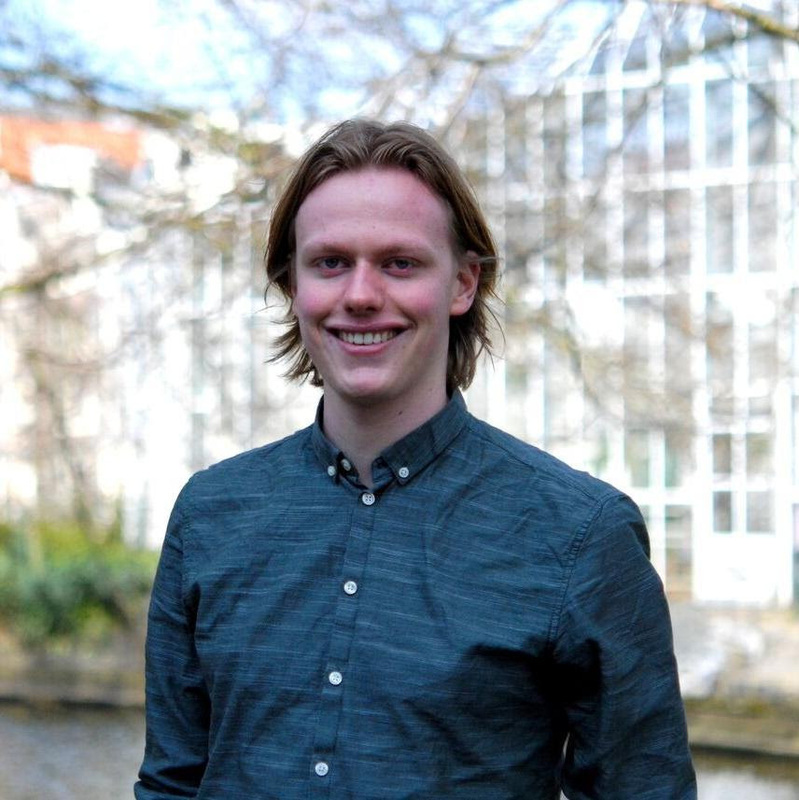 Jaap is a young city explorer with a passion for anything edible. 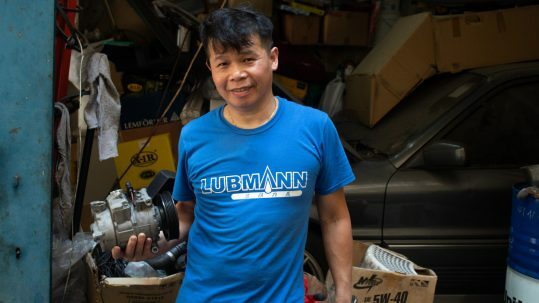 Originally from Amsterdam he’s made Hong Kong his home for six months. This is his first time to Asia and he is living it to the max!